What you will need to know: If you are thinking about investing in real estate, you’ll need to do your research, so we dug deep into the internet and came out alive with a list of key concepts, myths and practices. Plus, I'll throw in a couple of extra punchlines to keep things exciting. 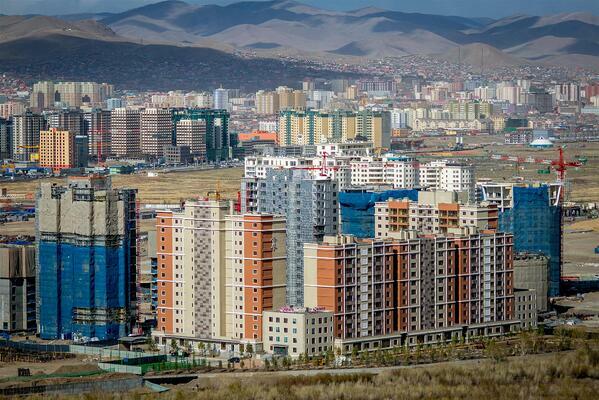 One of the many large residential unit groupings in Ulaanbaatar, Mongolia. -Some technical tools like REITs (we’ll explain later). Buckle up and let's go. You will want to avoid signing on your own name for any domestic or overseas property investment, given its inherent risks. If your investment goes awry, you could be personally liable if you bought your investment in your own name. In other words, if you default on your mortgage for a real estate investment, or someone trips on your property and sues you, you could lose everything you own. Special circumstances can come up, though. For example, in Mongolia, there are 0% Capital Gains taxes (we cover that elsewhere here), only 10% income taxes, and equally strong property rights for foreigners as for citizens. 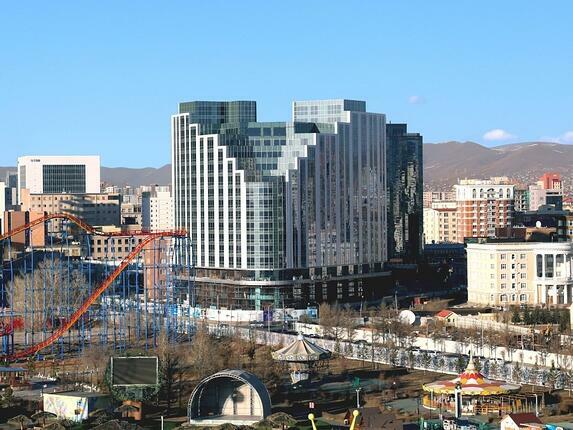 It may be easier, and thus less risky, to invest in real estate in your own name in Mongolia than elsewhere. Whatever you do, you’ll have to start the ownership process with a down payment. Investing in a primary residence can be a great move, but saving up for that down payment can have you asking: should I put my down payment money somewhere to try to grow it a lot until I need it? The answer: No. You should listen to my dad. This is not actually my dad. On a road trip when I was 17, I once bent my car key by accident and had trouble starting the car. I bent it back and it still gave me grief until I had to get a new key. My father reminded me that I shouldn’t gamble what I can’t lose. In the same way, don’t gamble with your down payment. In short, play it safe. You can put that chunk of change into any one of a set of cash equivalents that have domestic or international financial institutional backers. It would definitely best to make sure you are in a preservation mindset. Money market accounts backed by the likes of the FDIC in the States earn some interest, but not much. The FDIC also issues Certificates of Deposit (CDs). Slightly more in earnings potential, but slightly less available for immediate use. Treasury Bills or Government Bonds from the US or different governments have different credit ratings and thus different levels of risk. For example, the Bond rating for Mongolia was just upgraded by Moody’s to B3 in January 2018--not perfect, but better than where it has been. Bonds and CDs can be pretty good for safe, guaranteed yields if you don’t need the money for more than a year or so. 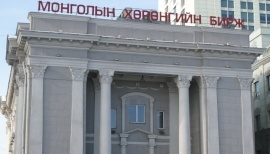 Above, the Mongolian Stock Exchange has had recent IPOs that have been making headlines. With those two practical points out of the way, let's move on to the age-old debate: Stocks or Real Estate? While we’ll get more in-depth on what you can do with Real Estate in a bit, I’ll build on the existing debate with some simple pro-con lists on why real estate and why the stock market. 1. Real estate is often a more comfortable investment for the lower and middle classes because they grew up exposed to it more than to stocks. 2. Harder to get tricked. It’s hard for someone to tell you your land is in great shape when you show up, see it, and it isn’t. Contrast that with complicated financially engineered Wall Street inventions like a Collateralized Debt Obligation, which was comprised of terribly high-risk loans and arguably led to the collapse of the US housing market, as featured on the film the Big Short. The CDOs were rated well by ratings agencies and supported by investment managers—the very people on whom most peoples’ retirements and amateur investing completely depends.It’s easier to use debt to pay for real estate. Everyone has heard of a mortgage. Not everyone has heard of buying stocks with debt, or margin trading. There are several ways to buy your first real estate investment. If you are purchasing a property, you can use debt by taking a mortgage out against a property. The use of leverage is what attracts many real estate investors because it lets them acquire properties they otherwise could not afford. However, using leverage to purchase real estate can be dangerous because, in a falling market, the interest expense and regular payments can drive the real estate investor into bankruptcy if they aren't careful. 3. To Many Investors, Real Estate Is More Tangible than Stocks. A view of the personal touch Mongolian Properties puts on our customer interactions. Unless done particularly well, investing in real estate won’t make you ultra-rich overnight like a stock could, but real estate also won’t evaporate in a day like Bear Sterns or Lehman Brothers did during the Global Financial Crisis. “A Bird in the Hand is worth two in the bush” is a common euphemism that is attributable to human preferences for the available, regardless of the valuable. Buying the place where you live can be a really good move, but buying extra real estate properties to make money is its own arena. People often have the misperception that investing in real estate is better than the stock market, but the stock market usually has higher returns, especially when you count in inflation, interest rates, and other costs that surprisingly add up to a lot. You would likely see better returns by investing in stocks like Google or Apple, but more presence of certain risks. 1. Real Estate Doesn’t Have a Daily Quoted Market Value, so it’s harder to see how much what you have is worth. 2. Real Estate is more labor-intensive (sometimes). If you aren’t getting rental income from whatever you own, you could lose money easily. Taxes, maintenance costs, insurance, and other things add up quickly. 3. Inflation could hurt, but leverage could help. If there is 4% inflation on the Pound, your property will cost £208,000 for the same value if you buy a property for £200,000. Assuming you have a mortgage, you put £40,000 on a down payment and borrow the rest. So even though you saw small increases in value on your property, you have technically only paid £40,000 so far. Going from £40,000 to £48,000 is actually a 20% return. Taking out inflation, you get a real return of 16%. And that’s why real estate is worth a try. And in Mongolia, you can theoretically take home all of that 16%. World’s best way to make money: hold onto invested stocks for a long time. Enough said here. Less work than owning/managing property. Owning a security that you don’t have to sweep or check for leaks can seem like a relief compared to a rental duplex you bought two years ago that you’re losing money on. Cash dividends are good perks, too. It’s pretty nice to get cash dividends - money that some companies give to the people who invested in them, in addition to the stock price potentially going up – and it’d something people usually don’t get from real estate (except in REITs). Easier diversification, which means less risk. It’s hard to buy 20 different types of land for the first-time real estate investor, all that land. You can turn it into cash more quickly than real estate. Margin trading, borrowing against your own stocks, is less heard-of but pretty helpful, especially wbut you can buy an ETF, and index fund, or a few different companies’ stocks for far less money thanhen interest rates are low. Contrast that with aspects of real estate, where high interest rates will quickly put you into trouble for paying back a mortgage. When people don’t have the stomach for it, they lose money. Watching your stock drop can scare you. If you don’t know that you still haven’t technically lost money until you take out the stock and turn it into cash, it can be quite jarring. For this reason, people lost a lot of money in the stock market. Warren Buffet’s advice: buy some stock, then buy more. Stock prices can tank and spike quickly in the day-to-day. Often reinvesting you cash dividends back into the company that issued them makes it look like you haven’t made any money. But if you do that over the years, it adds up. Look up Jeremy Siegel’s work on that if you want to do more research. Now that we’ve gotten through some basic pros and cons of real estate versus stock market, let’s look at the different kinds of real estate investing we can do, and some basic insights on how to make money in real estate. Commercial, Residential, Mixed-Use (Combiation of the others), Industrial, Retail. Whatever the project, your investment likely conforms to one of these self-explanatory categories. We need to go more in-depth with other concepts, but a quick Google search can easily do concise definitions of these better than we can. For example, our developing Olympic Residence has apartments, penthouses, and space for luxury brands and quality restaurants to rent space. The Olympic would fit naturally into the Residential and Retail categories of real estate, thus making it a Mixed-Use building overall. Appreciation: Where market change brings spare change (and hopefully much more). In general, appreciation of a real estate property investment just means that what someone else is willing to pay for your property is greater than what you paid for it. If you buy an apartment, and the apartment appreciates, then that means that the listing price, or the price on the local market, went up. And if you take out a mortgage on a property, you control and own it completely, such that you can make a small down payment without paying for the property fully, thus making a significant profit when selling it to someone else. Flipping properties, which usually just refers to buying and selling properties with a quick turnaround to make a profit, can be lucrative in good times and devastating in bad. 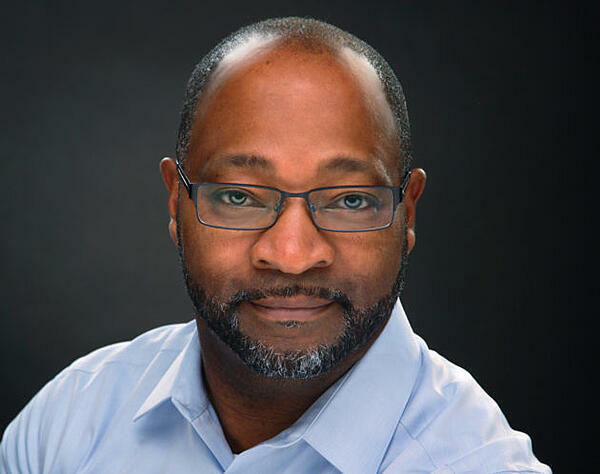 Pro: Leveraging appreciation can be a particularly good way to make money if you want to flip properties without doing any renovation work, whether by actually living there or just investing and making money off of the property. Often house flippers who want to add to the value of the house will do renovation work and can make the value of the property appreciate. Con: Inflation makes a difference—contrary to common myths. We touched on this earlier. It is easy to look at the sticker price of an investment, and, if the sticker price went up, then you pat yourself on the back and celebrate your profits. Not so fast. If the inflation rate goes up faster than appreciation of the property you invested in, then you’re not actually making any money. Similarly, if the costs of labor and materials you use in renovating the property exceeds how much the property appreciates, you lose money. It’s also often riskier than the next category of investments—think US housing crisis in 2008. If you were flipping houses in 2006, you were making money. But if you kept going in 2008, you likely had at least one property that you couldn’t sell, and likely did not have the cash or a mortgage on-hand to pay for the property fully. Cash Flow Income: For the Landlord. Buying a property, letting other people rent from you, and collecting the proceeds is another well-known means of real estate investment. It can include storage units, car washes, office buildings, and rental houses. A landlord owns a property and rents it out to tenants. The landlord is usually the owner, pays the mortgage, maintenance costs, and any applicable takes. In an ideal world for a typical tenant, landlords would only charge enough rent cover the mortgage and other expenses. After that point, a majority of rent becomes profit without a mortgage to pay off. Hopefully, the tenant will steward the rental well and pay rent on-time, and the landlord will be entirely responsive for concerns and wait until the mortgage is paid off to make a profit. Pro: Often less risky than depending on appreciation, and it can lead to a steady stream of income. Con: If landlords and tenants don’t do their research, they can end up in a bad situation. In case you’d like examples, ask someone you know about college horror stories with bad landlords. Bees, flooding, and broken assets await you without doing your homework on this valuable property investment and exactly who it is with whom you’re doing business. Auxiliary Real Estate Income. Think vending machines or laundromats in an apartment building. Basically, ancillary/auxiliary income for investments in real estate entails revenues from things that might only be connected to or related to the property, and providing helpful, revenue-driving products or services for the tenants. 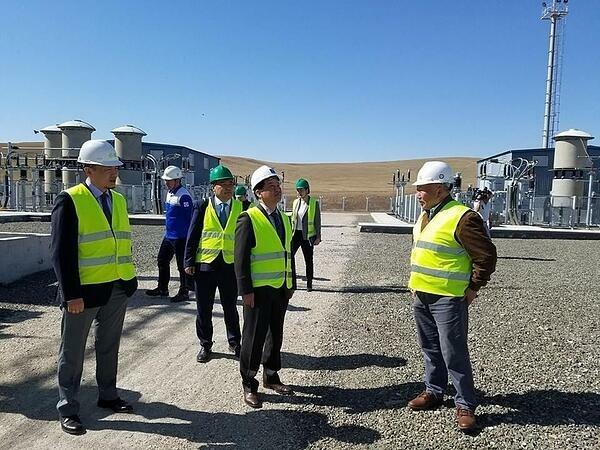 Leaders tour a mine outside of Ulaanbaatar. 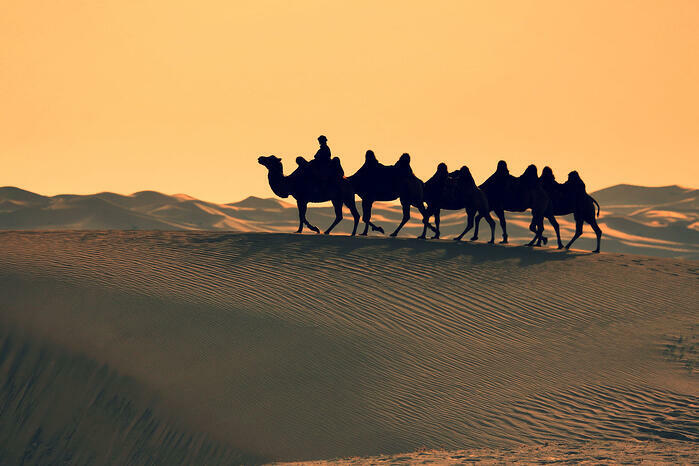 The mining industry's employees often depend on auxiliary real estate businesses, since those employees are often expats in need of immediately available goods. Pro: Running a mini-business with tenants as border-line hostage customers that live next to what you provide can be seriously profitable in the right places. Con: Again, appropriate research proves necessary. Buying a lot of things like vending machines, washing machines, or dryers can end up in unexpected maintenance, costs, and inconveniences in a way that might not be worth it at the wrong property. Real Estate-Related Income: For the Specialists. Real estate management companies, real estate brokers, and others make money from selling property or operating the property on behalf of investors/owners. Selling the property – simple enough, right? A realtor sells a house and gets a 3% commission. Pro: The better researched and experienced the company, the higher quality investment you're getting and a higher likelihood of good returns on the investments. Con: The better-researched and experienced the company, the more you'll have to invest up-front. At Mongolian Properties and our parent company APIP, we have done our research on the Mongolian economy and prefer to finance our projects through equity or pre-sales instead of taking loans from Mongolian banks, due to high interest rates of 11% at the lowest. Sometimes, then, our high-net worth clients invest in our Off-Plan Investments early on. Investors who bought in to our Park View, Temple View, or Regency properties saw rental yields as much as 30% and untaxed capital gains up to . But to see those returns with out well-researched company, they had to produce considerable A number of other options, including real estate investment trusts, real estate mutual funds, and real estate private equity are other in-depth ways to get involved with real estate investing, and we would encourage you to go more in-depth into those if you’re interested. A real estate management company, or other ventures that can make money purely from operating, maintaining, or advertising a property, however, can certainly go more in-depth. Here are a few ways we can do that. Real Estate Investment Groups. Think mutual funds, but for renting property. Real Estate Investment groups usually will buy a set of properties and give clients the option of buying one of the properties or assets with rental yields. Meanwhile, the company as a whole takes care of leasing, maintaining, and advertising the property. Owning a rental property without being a landlord could be appealing to some, especially overseas property investors. 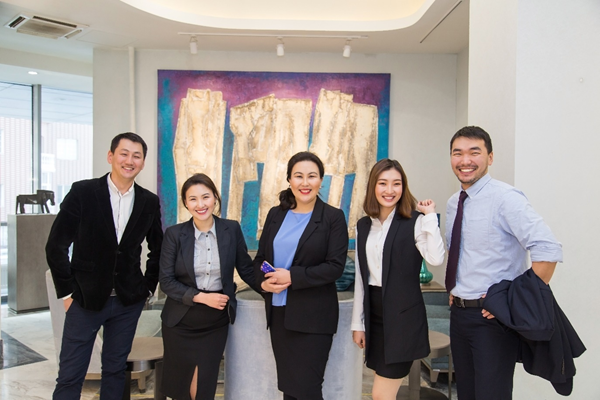 We at Mongolian Properties use a similar kind of model with international investors and have seen optimal returns on our real estate projects. Real Estate Limited Partnerships. Similar to real estate investment groups, but not completely. The group still exists to buy property investments, but the group only exists for a limited amount of time. Usually someone with experience runs the company and is called a “General Partner.” The company dissolves when the properties are bought and developed using outside investors who are given a share of ownership in the project, and eventually sold for a hopefully large profit. One potential disadvantage of this part of real estate would be that investors’ stake is relatively non-liquid, with investors often only being about to take out cash when the company dissolves. LLCs are legal entities that form from partnerships between business partners or even family members. Going through its benefits can give a better idea of how LLCs can help, especially in avoiding the pitfall of signing your personal name on your real estate investment. Less paperwork and money: forming an LLC can occur for as little as a few hundred dollars, especially among family members. When real estate investing can often be labor-intensive for little payoff, minimizing paperwork can be quite helpful. Equal voice in decision making: if the LLC is set up with a “member managed” leadership structure, everyone involved has a say in day-to-day decisions, where a “manager managed” LLC runs by member-elected managers’ decision making. Flexible, Helpful Income Allocation: Depending on which tax laws you’re dealing with, you may be able to divide profits and losses in ways unavailable to someone who invested in a stock corporation. For example, under US law, you can write in an LLC that, regardless of profits, 2% of sales go to a particular family member involved with the company. Most important: Much, much less risk. Limited Partnerships, an alternative to LLCs, put personal liability on leadership for the Partnerships’ general debts and accounts payable. In contrast, LLCs ensure no member’s personal assets are at risk, unless other conditions apply. A common case would be when a member with more than 20% equity in the LLC consents to a contractual obligation that requires a personal guarantee from someone with more than 20% equity. Some court cases have come up as well to put LLC members personally liable, but those cases are not common. Real estate investment trusts (REITs): Imagine a corporation where, if you invest in it, it gives you practically all of its income out back to you and other people with stock in the company, almost as a dividend. Wonderful, right? That’s actually not far off from an REIT. Basically, a REIT is a legal entity that uses investors’ money to buy, invest in, and gain from land ownership, rental, and sales. They often focus on commercial real estate, and are accessible for investment on major publicly-traded stock exchanges. You’ll have to jump through tax hoops, maybe paying a little more than the typical common stock shareholder in taxes (much of US and international tax law is changing, so talking to someone certified in IFRS or GAAP would likely be a better plan if you’re interest in the ins and outs of REITs in international tax law). REITS can takes away much of the hassle of direct property ownership while still giving you the chance to invest in property. Basically, REITs do some work for you, by providing management for the property and risk mitigation, as well as liquidity—often a drawback of traditional real estate investing. As with those initial categories of real estate investing, REITs often grow more specific, being used in residential property development, acquisition, maintenance, and management, as well as industrial REITs, healthcare REITs, Mortgage REITs, or hybrids of each of those. Although there are tax difficulties you might face, REITs have historically proven that they serve to mitigate risk in income portfolios and provide net positive returns. Internationally investing then, makes sure that you do not have all your eggs in one national basket, so to speak. Internationally, REITs can protect against inflation of other currencies, good yields, laissez-faire managers, and diversification. International REITs correspond, sometimes to funds like ETF on the US stock exchange. If you like the idea of investing in positives of the real estate and stock market at the same time, REITs are a particularly good idea. So there it is: our pretty comprehensive guide to real estate investing, especially with a few overseas twists. Hope you enjoyed it. We at Mongolian Properties enjoy doing what we can to serve others. We’ve done our research and looked at other conversations on this content like The Balance and Investopedia to put together this piece for you, and we hope it meets your needs. 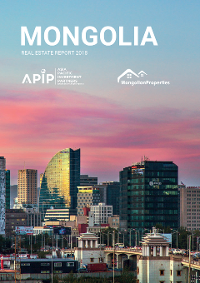 Feel free to contact us via our website or reach at info@mongolianproperties.com.